Mission – To Empower you, our clients, to develop life-long fitness and nutrition habits that will have a profoundly positive impact on all aspects of your life. Fitness – We believe that working out not only allows you to move, feel and look better, but also has clear benefits for mental health and all aspects of your life in work and in play. Nutrition – Here at Fitness Revolution we understand that nutrition is as important to moving, feeling and looking better as working out and that is why we are proud partners of Whole 9 and work with you to utilize the Whole 30 program to help jump start your nutrition. 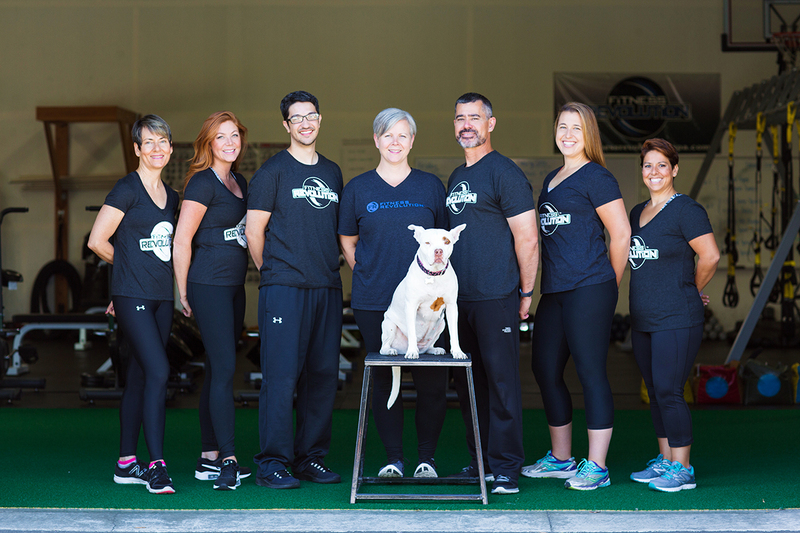 Fitness Revolution was born out of our desire to help people and share our passion for health, fitness and longevity with our community. Fitness and nutrition are an important part of living a full life! We are here to support your journey to lifelong wellness. Give us just a little bit of trust, we are happy to earn the rest. We are confident that when you work the program and with the support of our Fitness Revolution Community you will enjoy the same successes that many of our clients do on a daily basis.